This entry was posted in Managing risks & hazards on 2017/09/27 by Susan. Moving equipment is all around us. It’s used in most if not all industries. Securing mobile equipment is essential to safety of workers and the public. “Since 2006, more than 220 workers have been seriously injured by improperly secured vehicles in B.C. 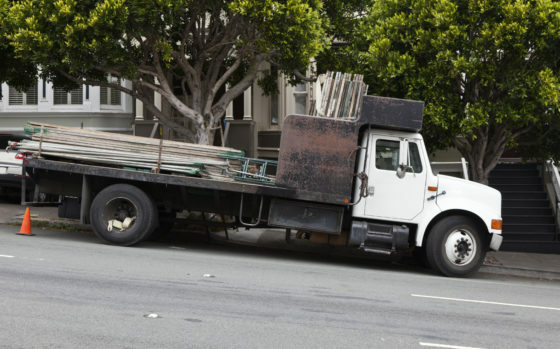 Sixteen of these incidents were fatal,” reads Improperly secured vehicles put workers’ lives at risk, a WorkSafe Bulletin. This includes workers in log hauling and other forestry operations, general trucking, construction, towing, TV production, and others. In a tragic case now under investigation, on a construction site in Coquitlam, two people died when a runaway truck caused a multi-vehicle crash. Several others were taken to hospital, according to this Vancouver Sun news story. My deepest sympathies go to all the loved ones and communities affected. Last year in the forest industry, three young workers died in separate log hauling fatalities. I wrote about them in my post Tragedy a reminder to secure vehicles before repairs and maintenance. In one of those incidents, a young worker was run over by a logging truck he and a co-worker were trying to repair. They had been driving the empty truck to a logging camp near Fraser Lake when they stopped to fix a mechanical issue. Employers have a duty to develop written safe work procedures, and workers need to know them. The WorkSafe Bulletin I mentioned above has more details about this. “Securing mobile equipment is very specific to the equipment you’re working on and where you’re working on it,” says Will Heller, an Occupational Health and Safety advisor with SafetyDriven – the Trucking Safety Council of BC. If you can, choose a location without an incline, to avoid any chance of rolling. But wherever you park, make sure you have control of the keys, and that you have applied all the brakes and placed chocks under the wheels. While specifics vary, every vehicle and piece of equipment needs to be secured when a driver leaves the controls. For more information, see my post Keeping safe during repairs and maintenance.